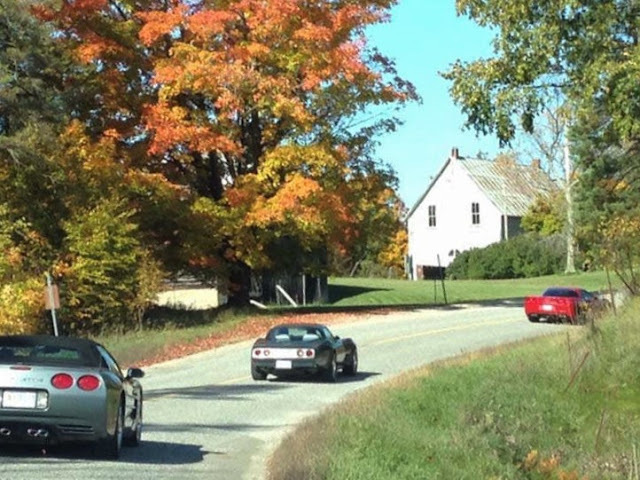 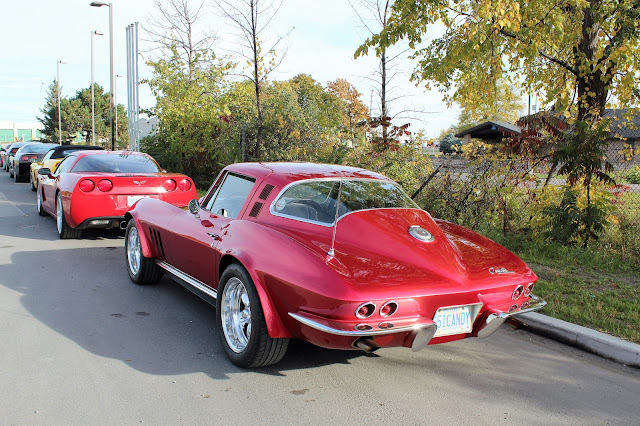 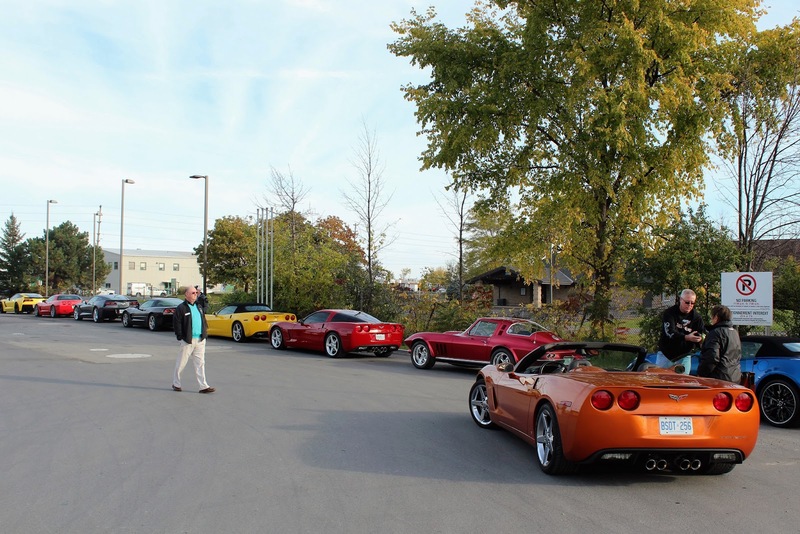 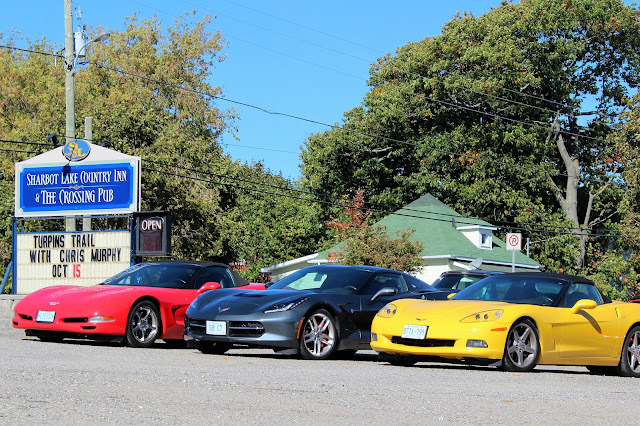 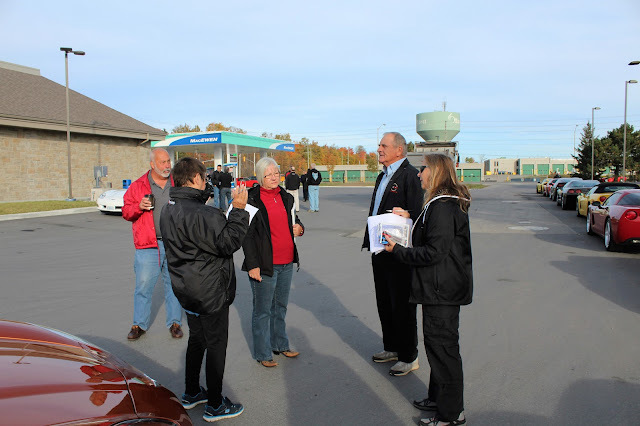 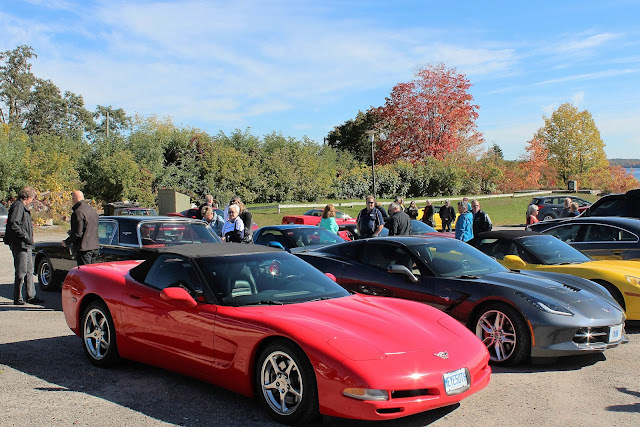 A beautiful Autumn day drew a big crowd for the Capital Corvette Club's Fall Outing. 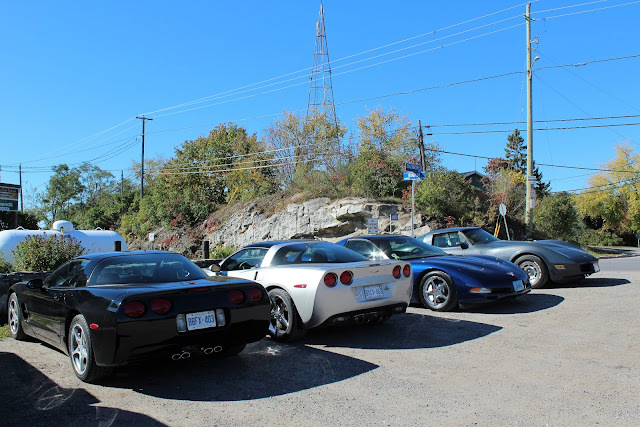 After meeting at the McEwan's gas station on Fallowfield Road near Highway 416, we proceeded up Fallowfield Road and soon were enjoying quiet country roads. 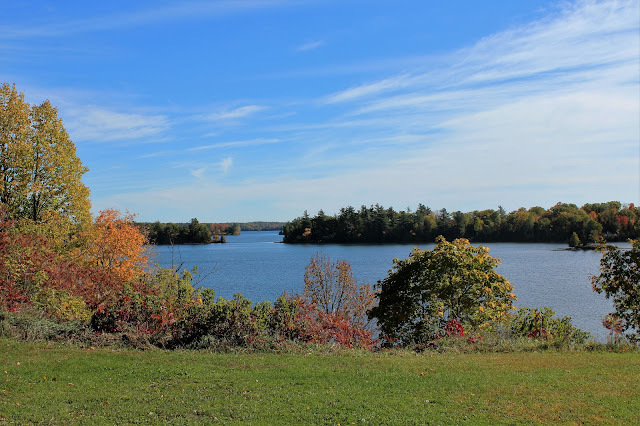 Located 135 kms west and south of Ottawa, Sharbot Lake is a quiet village in the Land o' Lakes Tourist Region and is surrounded by forested areas and lakes, as well as several provincial parks. 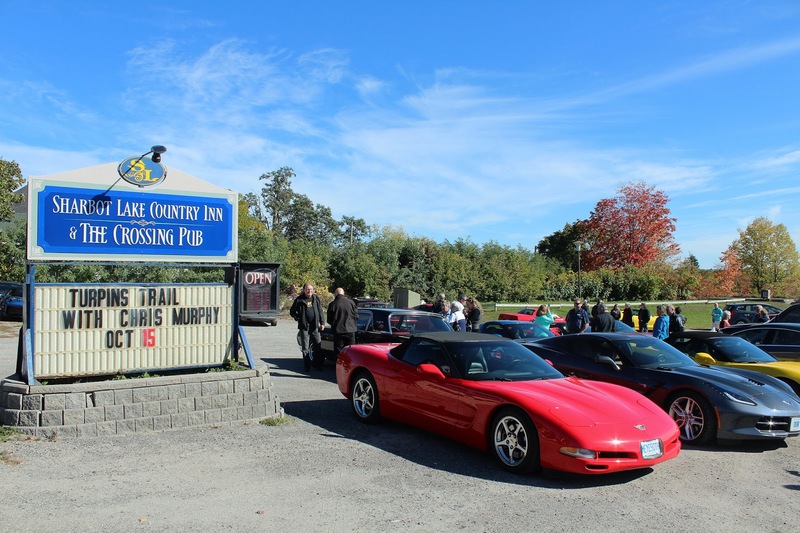 At this point it was time for lunch and arrangements were made at the Sharbot Lake Country Inn and the Crossing Pub. 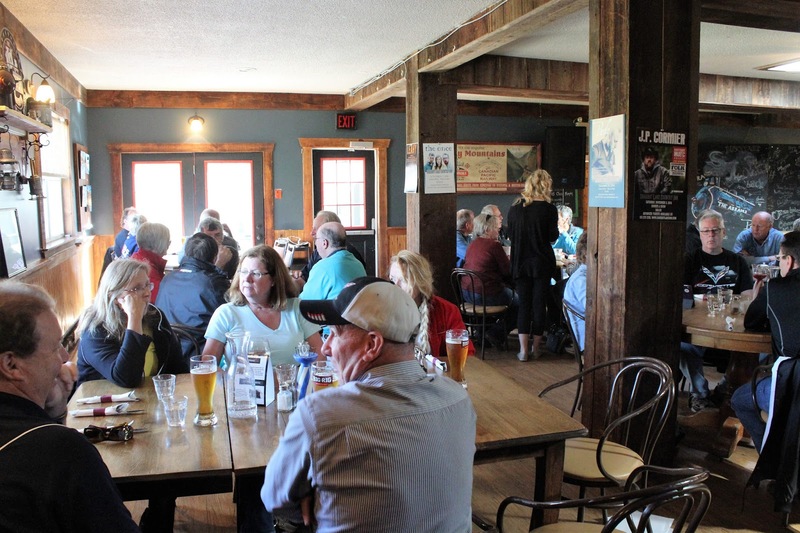 The original structure was built in 1906 and the "crossing" name refers to the railroad line that ran through the town. 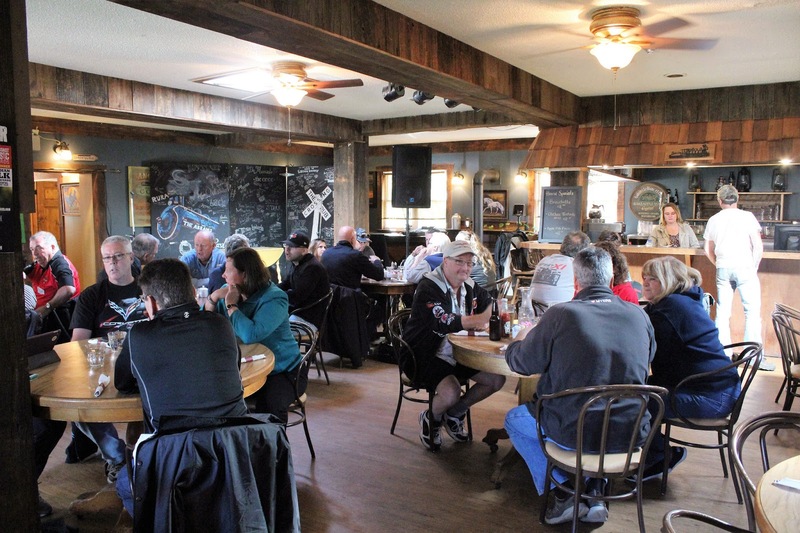 We had a very pleasant pub lunch and it was an easy drive back to Ottawa, returning on Highway 7, a segment of the Trans-Canada Highway. A good time was had by all!